Pharmacies are busy environments, even hectic at times. To prevent employee turnover and burnout, pharmacy owners and managers must find ways to motivate their team members and keep them engaged. Motivated employees are happier. They are also eager to provide superior customer service and make an active contribution to the success of your business. The following tips could help you support your team members’ productivity in the pharmacy. Communicate regularly with employees and include face-to-face time. Let them know you value their input and ideas. Show interests in your employees’ career goals and make them feel part of the pharmacy’s mission. Foster an environment where employees can communicate with their supervisors about work-related issues. Make sure each team member understands their responsibilities. Conduct employee reviews on a regular basis. Try to provide constructive feedback as an educational tool rather than as criticism. Offer flexible scheduling and determine each employee’s preferred work schedule. Provide regular breaks and, if possible, an area where employees can relax during this time. Clearly explain your reasons for making any scheduling changes or adjustments to store hours. Conduct regular staff meetings to review policies or discuss new programs/products within the pharmacy. Establish realistic timelines for training, especially on new technologies, to ensure goals are accomplished. 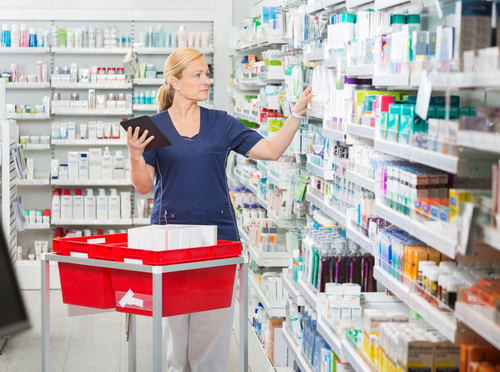 Keep the pharmacy organized to help employees feel prepared as they begin their workdays. Let team members know individually and as a group how they contribute to the safety and success of the pharmacy. Provide small rewards to team members, especially when an employee has gone above and beyond. Be a positive example for customer service and forward thinking. Offer recognition such as a verbal or e-mailed thank-you message. Recognize employees when they participate in community events as a pharmacy representative. In 2014, TINYpulse—a company that creates employee management tools—surveyed employees at more than 500 organizations worldwide and found that only 21% felt strongly valued. In a 2015 Employee Engagement & Organizational Culture Report from TINYpulse, the company noted that over 70% of all employees don’t see themselves as meeting their full potential. So it’s important for businesses to motivate employees and let them know their skills are valued. When team members are inspired, they will keep your pharmacy humming along, as they also actively assist customers. Your business deserves a motivated team made up of individuals who are invested in your business and ready to be great ambassadors for your pharmacy. As you inspire your staff, remember that Real Value Rx will be here with pharmacy services to support your success.